The French Jazz label Swing was founded in 1937 by music writer and concert promoter Charles Delauney, then editor of the Hot Club de France, and Hughes Panassie, to release American and French swing jazz artists like Sidney Bechet, Django Reinhart and Stephane Grapelli. Remarkably, they apparently continued to issue records during the Nazi occupation, with any American references removed. No Jazz in Jackboots collaboration for them, according to Wikipedia.fr Delauney joined the French Resistance. (Wiki claims, unverifiable). 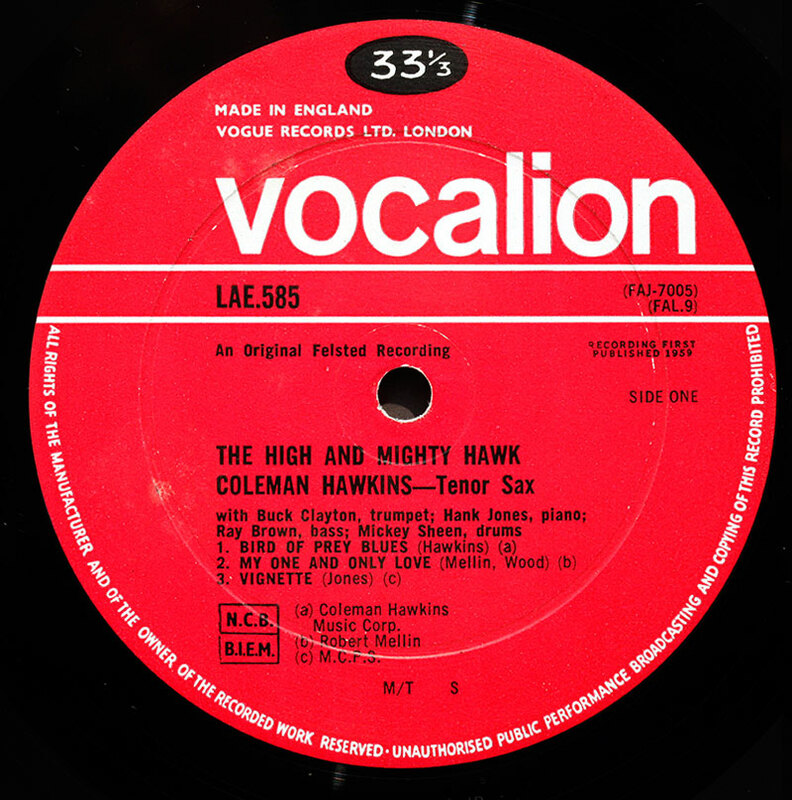 Swing recordings were made through the French branch of EMI (Pathe Marconi) or licensed from American labels. The Hot Club De France organisation officially considered only jazz of the ’20s, 30’s and ’40s authentic, ending at 1950. Thus the rise of be-bop was vigorously rejected by Panassie as “inauthentic jazz”, and the controversy split The Hot Club. 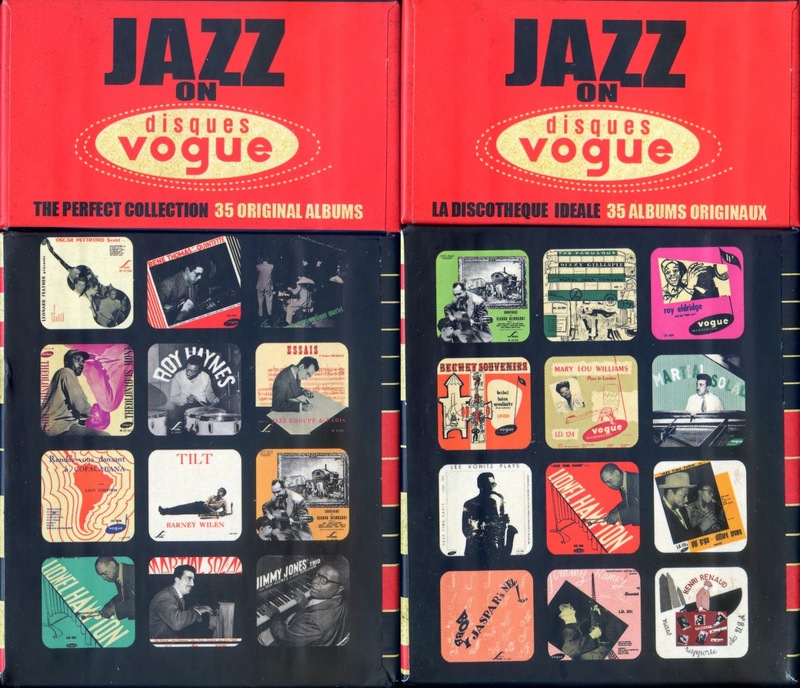 In 1951, Delauney parted company with Panassie, instead teaming up with Leon Cabat to create a new jazz label Disques Vogue, with a more modern-facing jazz agenda. 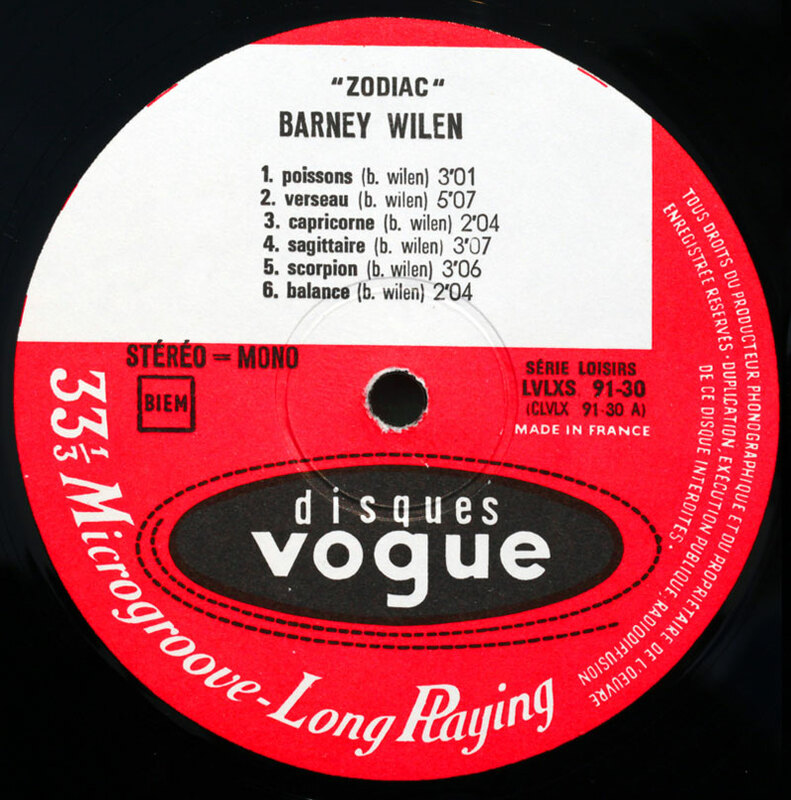 Its early catalogue of Disques Vogue includes some extraordinarily rare and expensive albums like the debut Barney Wilen album “Tilt”, and Roy Haynes. Good stuff. Starting out as a jazz label, in the later ’50s Disques Vogue branched into pop, and by the ’80s were releasing commercial mainstream artists like Francoise Hardy, ABBA and Johnny Haliday. C’est la vie. 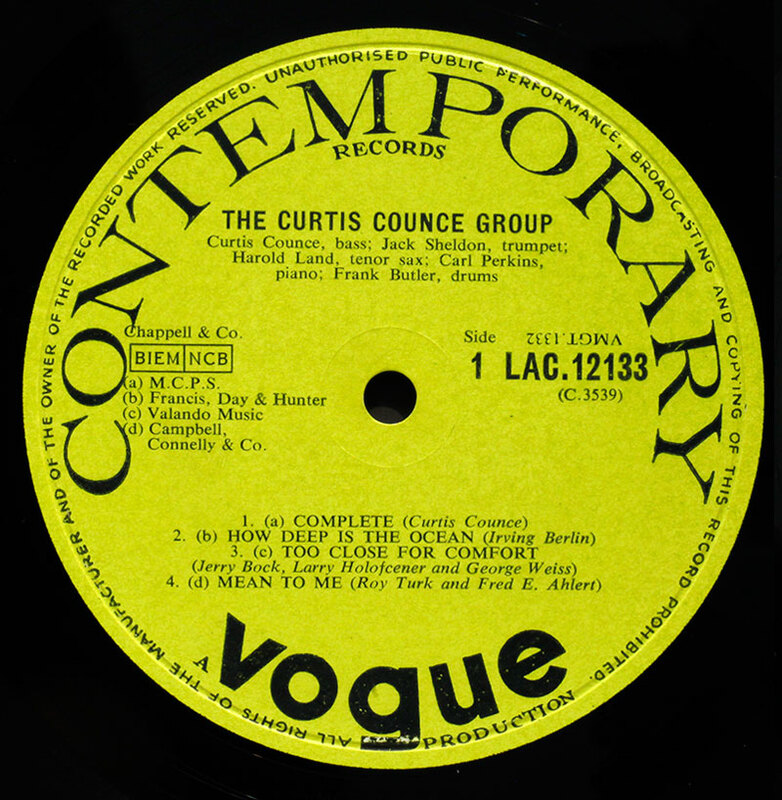 Disques Vogue was also established in the UK in 1951, but was subsequently taken over by Decca around 1956, and active mainly 1962-1968 as Vogue Records, the rights to the trademark having reverted to the French company Disques Vogue. While the US Contemporary label was subject to widespread cloning in the 90’s, UK Contemporary Vogues are invariably geniune period first UK releases from the Fifties and Sixties, ofen seen with an inner or outer deep groove in the label area. The Vogue label has since been acquired by Sony BMG Music Entertainment, who now own the rights to the label’s catalogue, but show no inclination to do anything with it. Well, Popsike has just one sold, for £22, just one bid. Don’t book a world cruise on the proceeds just yet. 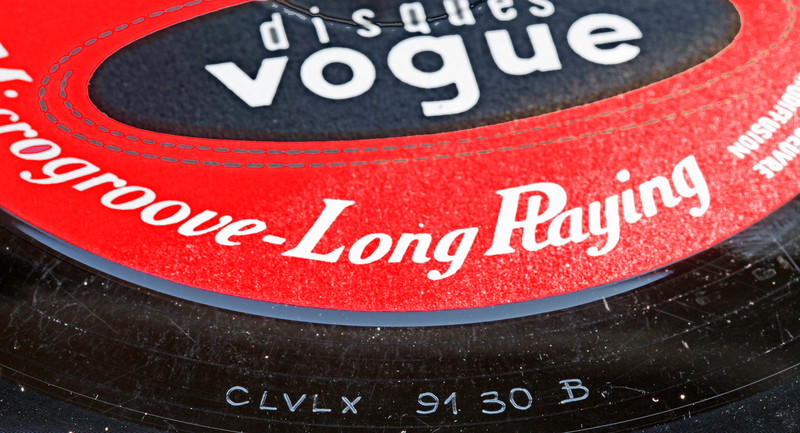 Vogue picture records were manufactured by Sav-Way Industries, Detroit, Mich. from May 1946 to August 1947 when it went into receivership. The catalog has little jazz content. According to the Association of Vogue Picture Records Collectors on Google, the Shavers records in excellent condition are valued at $50 to $75 and are considered “common records.” One disc, R784 Art Kassel and His Orchestra, carries a value of $5000 or more. I recently bought a Vogue Double re-issue of John Surman’s 1970s trio sessions – great sound, clear and vibrant, no complaints. Love John Handy, especially his groups with Michael White; Projections being an especially good album. Hello I am looking to get what appears to be a mint copy of JOHN HANDY QUINTET IN THE VERNACULAR VOGUE doubles UK VJD530. I assume its a seventies reissue. Is the quality of mastering and pressing likely to be ok? Hi thank you for the response. I love his playing as well. I made the purchase! How are the Vogue pressings compared to the original 10″ Fantasy releases? In particular, I want to collect Gerry Mulligan/ Chet Baker Quartet, and have seen a couple of copies on Vogue for sale. Are they worth a punt? if you find Excellent condition copies, you can go for them blindly. Good value for money. Fantasy, the coloured plastic items, are nice to look at, but the Vogue quality is much better. 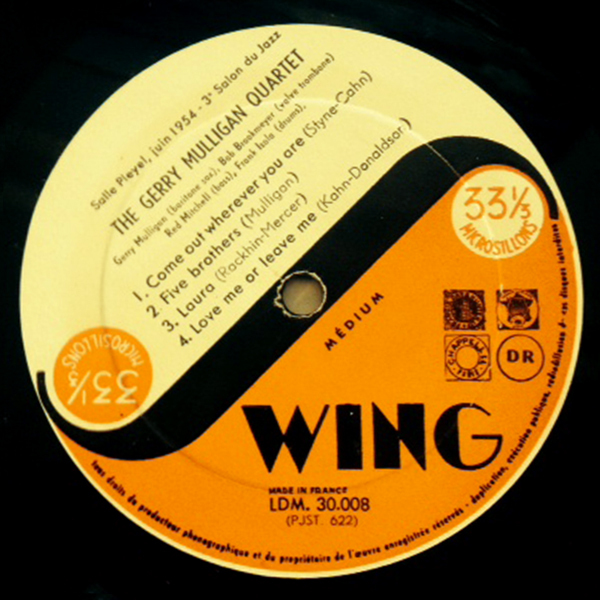 Got a VG graded Vogue LDE083 – Gerry Mulligan Quartet Vol. 4 – it sounds pretty marvellous. One mark that looked to me like a surefire ‘clicker’ hardly sounded at all. It’s very special playing these old recordings – one feels that much closer to the musicians and their music, a kind of eerie delight almost in the case of those that are no longer with us. Digital formats have removed this visceral connection with the artist – there’s really nothing to touch the thrill of listening to vintage vinyl! So you got the U.K. version of Pacific Jazz LP 5. I am glad you enjoy. There is much more to find at reasonable prices. Look for Mulligan’s three other Pacific ten inchers and the GNP and Fantasy albums. All contributions welcome Eric, it’s “family”. Email me label photos, whatever you can do, at address shown on the “About” page located on the banner. Vogue has never been fully documented to my satisfaction. More “work” is required. Gerry Mulligan quartet/ 3e salon du jazz, paris, 1954, a pleyel. However it is not as you describe half orange. Im not sure, if I send the message that I wrote earlier today. How do I find the emailadress? If you are able, highest resolution you can do, at least 1,000 pixel, shot square on, in focus and as little camera shake as you can manage.Everything else I can fix. Thanks, success, and a little further research has pieced together the relationship between Swing and Disques Vogue which I was not up to speed on, now updated history above. So the Hot Club de France was split over the authenticity of bebop. I’m sure Rudolf knows the murky detail behind this. Hughes Panassié (the pope of Montauban) has an English counterpart in Rex Harris, who in his “Jazz”, Pelican Books, London 1952, describes the development of jazz up to 1952 without mentioning once the name of Charlie Parker. Jazz ends in New Orléans with George Lewis and company. you have acquired an original French Vogue recording, issued on their Swing label. Thorange/white label was used by Vogue, Paris for their “Swing” series (25 and 30 cm), roughly between 1954 and 1957. If you go to “What’s New” on LJC’s front page and scroll down to Feb. 2013, you will see at 18 Feb 2013 “the Flinterman Collection”. Your label will be there at the end. Is yours the same one as shown? Btw, this Paris concert album was re-issued in the US by Pacific Jazz (P.J. 1210). The Flinterman label is excactly similar to mine, just anther title on the cover. Is it something valuable? I am still new in this jazzworld, but ljc is really a great help to me. Thanks!! I have a Vogue 10″ of Bud Powell but am not clear as to where it was made. It looks like the second one pictured but there is no Made In France or Made In England on the label. It has handwritten matrices and the vinyl appears black but is translucent red when held to the light. Any thoughts? the dark red vinyl was used on a number of French Vogues (10″). What is on the rear? A text in the form of liner notes? Or just their latest catalogue? I have never seen a 10″ Vogue without the Paris or London adress on the bottom. Is this the Roost session? Just read that Horace Silver passed away yesterday at the age of 85. Thanks for the response, it is the Roost session and the rear is the latest catalog. I can post an image of the label tonight. what is the prefix of the record? L.D. or LDE? Anyway, try to post the picture. Aaron: puzzling! I don’t have L.D. 010, but I put next to each other my French L.D. 009 (Stan Getz ex Roost) and my English L.D. 011 (Johnny Hodges ex Mercer). Both have the prefix L.D. on the labels. The resemblance between the mother company in Paris and the daughter in London is strong and the labels are almost identical, but for the country of manufacture. L.D. 009 has the mention Made in France, L.D. 011 “Made in England”. Yours does not have such mention. There is however one striking difference between my English and the French one: the latter has a deep groove, whereas the English has just a circle around the spindle hole. See examples in the collection. the French has a catalogue with “Vente en catégorie standard” and the Paris adress. The English one has just a catalogue, no text, but a London adress and the name of the English printer (West….) Also, on the sleeve the pre-fix L.D.E. is used throughout, also for # 011. So my verdict is that yours is French because of the DG. What leaves me puzzled is the rear of your cover. There must be other elements to prove my thesis. Also, is the front laminated or not. The English front is a soft laminated flip over, rear unlaminated The French stiff cardboard, unlaminated. Is your cover blue with a sketch of PierreMerlin? I have had the 010 in my hands many times. P.S. 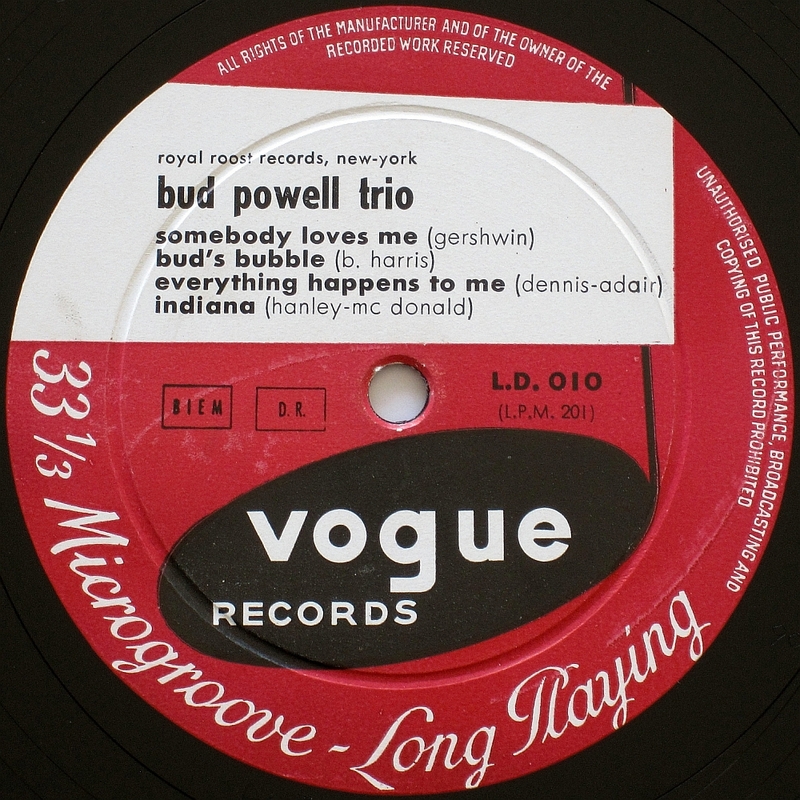 the Bud Powell trio record on Vogue has the same serial number in France and in England: 010. Thanks to your help Rudolf, I’m pretty sure this one is French. It has the blue cover with the sketch and is in a stiff, unlaminated cardboard sleeve. one thing still puzzles me: is there no adress on the rear, which would have given the answer immediately? I actually no longer have this record as it was in poor condition. I was going through label photos I took when I found this one leading me to ask the question but am going from memory on the jacket details, it very well could have had an address somewhere on the rear. I have uploaded the picture as a postscript. I didn’t much like the look of the accompanying adverts on that image hosting site! 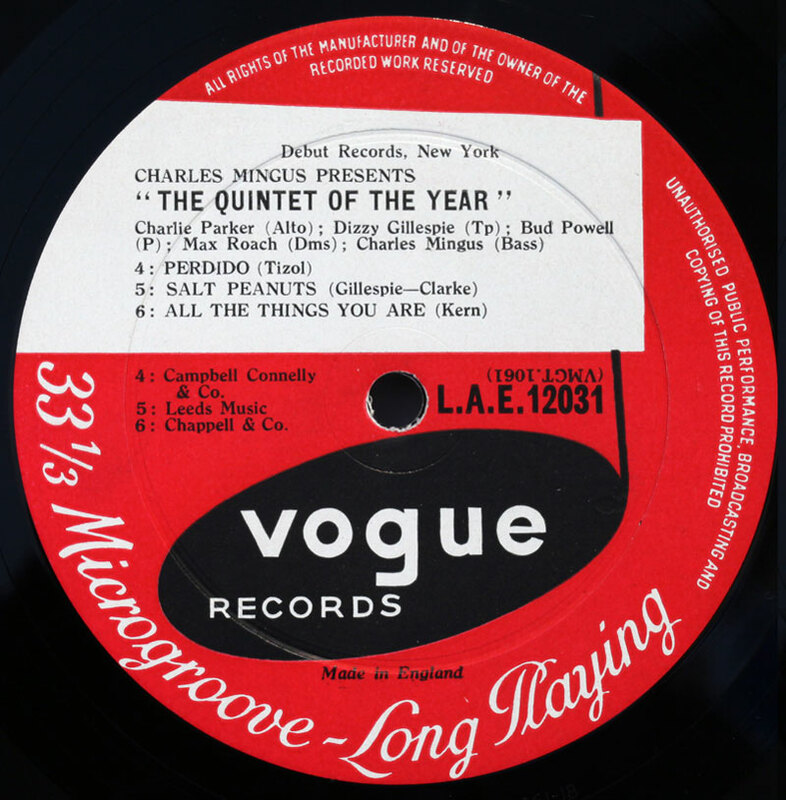 Have two Vogue Picture Records of the Charlie Shavers Quintet. Are these US pressings and any ideas around what year? Hi Larry , if you are able, send photos, as HQ as you can manage – vinyl detectives need more to work on. Covers, labels, liner notes, anything you have. Don’t have a camera or smart phone. On closer inspection (in light) both platters are from Sav-Way Corporation of Detroit Michigan. “Broadway” on one disc, “Dizzy’s Dilemma” on sides that are visible (they are mounted on the wall). Buddy DeFranco is on both. All I need is approximate recording dates. I’m thinking the fifties.